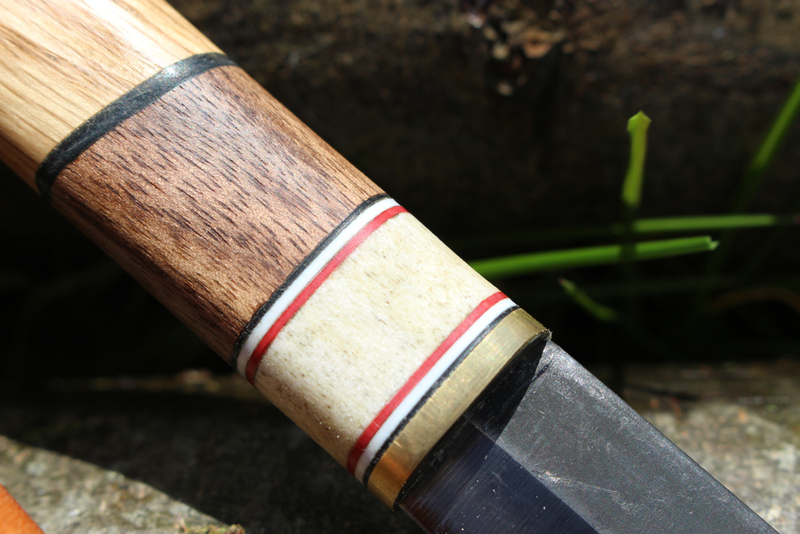 A beautifully finished Skandi style Puukko with dark and light Oak handle. Has all the detail you would expect from a hand crafted skandi style blade with bone inset and tri-colored surround. The blade is progression tempered to hold a sharp edge but retain flexibility. This knife speaks for it's self in looks alone. It would make a wonderful addition to any collection or be used as a day to day tool. This knife comes with a gravity held leather sheath (mass produced I'm afraid!) treated with bees wax to give it elemental resistance.